This Fosters character returns for more fun as she navigates adulthood. As indicated in The Fosters' series finale, Callie is taking on a new job and will be adjusting to life in LA. Centineo will return to TV as a guest star in this spinoff series, reprising his beloved character Jesus. Alice lives in the same apartment complex as Callie and Mariana, and is first-generation Asian American. Gael is a graphic designer who is politically active and socially conscious. As a former foster kid, Malika is passionate about social justice. Dennis is an aspiring musician who also happens to live at The Coterie. As the oldest tenant in the building, he's clearly trying to keep up with his younger neighbors. Set to recur on the series, Davia is a teacher with a "no holds barred" attitude. Bart's Wilson will be the judge that Maia Mitchell's Callie will be clerking for. Like Callie, Molly is a law clerk, but she has a leg up as the granddaughter of a Republican U.S. Senator. As a member of a political dynasty, she's eager to live up to her family's legacy — and lofty expectations. Callie's fellow clerk Benjamin is a conservative character. Foster mother in a relationship with Lena. 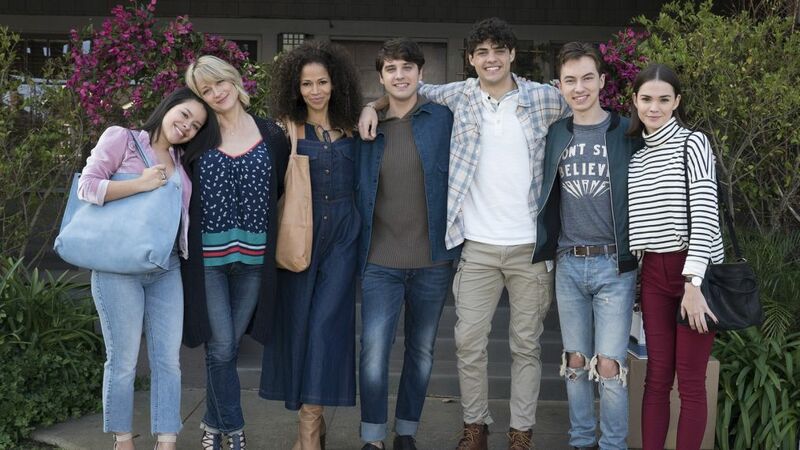 Freeform's hit series The Fosters may have ended, but fans don't have anything to be sad about as the spinoff premiere is finally upon us. Good Trouble features two of the original show's regulars, Maia Mitchell and Cierra Ramirez, as Callie and Mariana. Of course, it's the rest of the cast that viewers have been wondering about. Luckily, those announcements have been made and there are both new and familiar faces in the diverse bunch. From a Riverdale star to To All the Boys I've Loved Before's hunky Noah Centineo and other old fan favorites, click through the gallery above to see all of the confirmed cast members for Good Trouble! The series premiered five years ago in 2013.